Realistic driving games haven’t had a strong presence on the Nintendo platforms in recent years. The Wii U only really got a port of NFS Most Wanted, while other projects like Project Cars got cancelled altogether. That could be due to the systems being unable to produce the same graphical prowess as its current generation competitors, or because Nintendo has enjoyed enough success with its fictional offerings such as Mario Kart. Still, occasionally developers try to port their racing games to Nintendo’s hardware if it makes sense, such as the abovementioned EA title and also Codemasters with their F1 Race Stars. 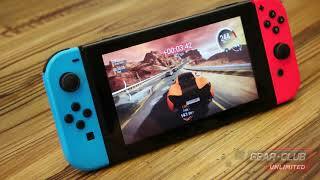 The launch of the Nintendo Switch came and went without a racing game set in the real world, but Microids and Eden Games are looking to change that with Gear.Club Unlimited. 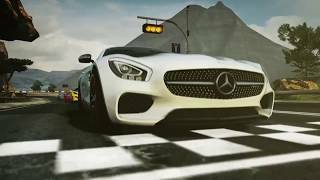 In the career mode, players will trek through as many as 400 individual races (typically arranged in a series as a tournament), all the while earning cash and experience points to upgrade their cars, buy new ones, expand their garage space, and keep advancing across the game’s 3D map that’s gradually uncovered. Besides winning races, income also comes from an achievement and milestone system, such as performing certain tasks like buying a car upgrade or winning certain number of stars. This all might sound like familiar design, and that’s because GCU is actually a port of a mobile game called Gear.Club, which is being released at the same time. The good news is that none of the mobile-centric restrictions have made it over to this version so progression systems are fine, you earn enough money and experience to comfortably progress through the career, and get yourself new cars on regular basis. Gear.Club Unlimited is the first and so far the only real-world based racing game on the Switch, and thus it includes a group of licensed cars to drive around. There are only about 30 vehicles in the game, which feels a bit low, but they are nicely recreated and look authentic. The roster mainly promises of mainstays like Ruf, Nissan, BMW, Lotus and McLaren. Interiors are recreated and can be seen in showroom, where you can also open the cars’ doors and trunk/hood and look around. However, the camera is not close enough to see the fine details of the interiors, and with no in-car view during races, it seems like a bit of a wasted effort. The cars are split into 4 categories based on their performance, from A to D, and in the campaign mode they are further split into A-1, A-2, etc. This feels restrictive, as with upgrades your car can be competitive all the way to the top of its level, but because it’s “classified” as A-1 it cannot participate in A-2 etc events; and with so few cars, your selection just gets further diced up. As you make your way through the career, you’ll become accustomed to the game’s decent handling model. An arcade racer through and through, Gear.Club Unlimited starts players off on the easiest settings possible with all assists on, but even switching to the hardest, there’s no problem keeping the cars in check even at high speeds. You’ll definitely be reminded of the game’s mobile port, as steering is responsive and simple, and requires little finesse or skill. If you manage to mess up, the game has a rewind system that lets you undo a few mistakes. The track’s guardrails will keep you moving at the right direction, and the AI can be physically pushed aside quite easily. As long as your car has better stats, beating the AI shouldn’t be an issue even on Hard. The only difference from turning off assists is the fact that you can spin out doing numerous drifts, which are satisfying. There’s not a ton of variance between how cars handle, apart from their apparent power. It’s light and accessible arcade gameplay. Using the tiny triggers on the Switch controllers isn’t comfortable, but face buttons can also be used. You’ll be competing in two types of events that are largely the same – races with a few AI opponents, and timed trials where you still compete with AI, but they are ghosts. The only difference here literally is the fact that the AI are ghosts in some of the races, and you don’t have to focus on avoiding (or taking advantage of) collisions. There’s also some Rally racing, where the 4 tracks are entirely off-road and are usually quite wide, with long sweeping turns. This is the best time to enjoy some drifting. Even though races are strung together in a championship, the game still definitely lacks variety in its competition. Although the career touts to be over 400 races long, there’s only a handful of tracks – set in a couple of different environments such as desert and a small European town. So you’ll see the same tracks over and over, and in addition to that, a lot of the tracks induce of feeling of asset re-use; be that in track design, environment design, or outright texture duplication. Repetition will settle in long before the halfway point of the campaign. And to cap it all off, many of the sprints are very short – under 90 seconds. Where Gear.Club Unlimited hopes to differentiate itself is in the management of your cars. Perhaps inspired by Eden’s Test Drive Unlimited franchise, players get their own 3D hangar space. As you earn money and experience, you can expand the usable floor space within your large hangar, and place objects such as parking spaces, to display your cars, and decorative items. But more importantly, you’ll be purchasing Workshops that allow you to perform upgrades. The mechanical workshop lets you upgrade the engine and gearbox, tire workshop lets you purchase new tires and breaks, paint and cosmetic workshops allow you to customize your cars with cool looking paints and body kit parts. You have to manage your available hangar space to place these workshops, almost a bit like Theme Hospital. With money and high enough experience level, you can upgrade the workshops so that higher-end parts can be purchased. A bit annoyingly, you have to manually pick up and drop off your car to each workshop slot manually, and then perform the changes you want. It definitely feels like the mobile design is leaking through here again, as it’s completely redundant to have these workshops be their own separate slots that you need to purchase and place. On the other hand, having a neat 3D space to work on your cars is a unique proposition. If you’re looking for a break from the campaign, you can partake in some online competition, though it’s fairly limited. The online multiplayer Leagues system is a bit convoluted, but basically you participate in races against ghosts of other players and hope to score as high possible on the leaderboards for the day. Your final standing awards you a certain number of points, and you can eventually move on to higher divisions having earned enough. There’s no direct online competition, but having this asymmetric racing is still decent; proper online racing is apparently coming at a later date. The downside here is everyone using their cars from the campaign, and the leaderboards are simply split by car tier. So, if you want to challenge the leaders, you better have a maxed out car for the class, otherwise there’s little point in trying. If it’s direct, local multiplayer you’re after, the game’s arcade mode delivers. Up to four players can participate on the same Switch system, and the split-screen action is highly customizable; you can include the AI, choose to reverse the track, and so on. Absolutely everything is unlocked from the get-go, so there’s no need to grind the campaign. Whether you’re playing in split screen, career mode, or in Leagues, Gear.Club Unlimited performs well enough. The game maintains 30fps for the most part, but there are certainly moments where it drops below that. Performance is comparable in both docked and handheld modes of the Switch. 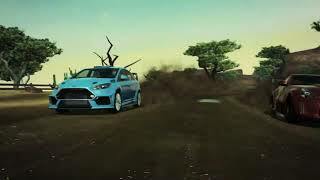 The game features some nice car models, but many of the environments feel a bit bland and textures are definitely poor in places; the game’s mobile aspirations once again let the Switch version down a bit. Similarly, the UI feels very mobile-focused, though it’s not too bad to navigate. There were also a few technical issues spotted. The main menu is entirely silent, and the races only have the soundscape produced by the cars; the entire title feels like it only has 2 or 3 music tracks on offer. There is an audio bug that will startle you sometimes after races and during some loading screens (which are quite fast). The game even had a hard crash. There’s also a bug where the game suggests that you need to upgrade the car’s performance because it was too low for the next race, even though the car was actually overpowered. There’s also the odd design choice where an endless, looping cinematic camera view of your car plays before each and every race, that you need to skip manually. The game doesn’t take advantage of Switch’s touch screen, though you can use motion controls for steering. While Gear.Club Unlimited is a decent enough arcade racer, its mobile roots permeate the experience and the design. From too many car sub-classes, to the upgrade systems and lots of races to do but not many tracks, you can feel where microtransactions would be placed. But of course on the Switch version they don’t exist, so you’re sort of left with some oddly designed systems. The idea of managing your garage space is interesting. Arcade driving mechanics are fine, but the presentation is somewhat lacking, again harking back to this being a mobile-like experience. It’s not a bad game, but its high price point is the final straw, as there’s just not enough content or quality here to fully recommend. The visuals are just serviceable, and not very impressive technically or artistically. Audio design is rather basic. Racing is purely arcade, and the mechanics are quite simple. Drifting is satisfying, and various difficulty and assist options help add flexibility. Having to take care of your garage space and the car upgrade system are both satisfying. The career ends up being overlong and repetitive due to lack of cars and tracks. Mobile-like design seeps throughout the overall experience however. Some basic asynchronous racing for leaderboard position and promotion. Offline split screen co-op works well. A few bugs, some framerate dips, and occasional hard crash. "A decent racing game that has a hard time getting past its mobile roots"
Gear Club Unlimited is ranked #1257 out of 1435 total reviewed games. It is ranked #147 out of 174 games reviewed in 2017.